Abdullah so loved the Prophet (peace be upon him) that he used to delight in presenting the Prophet with any delicacy that came to Madinah, so when any merchant caravan arrived with something like butter or honey, he would take it for him as a gift. Didn’t you give it to me as a gift? The two of them would laugh together and then the Prophet (peace be upon him) would pay the merchant. This was the type of close and jovial relationship that Abdullah and the Prophet had with each other. Abdullah was an alcoholic. He would often become so drunk that he had to be brought staggering through the streets before the Prophet, and each time, the Prophet would rule to have the prescribed punishment carried out. This was a common occurrence. Do not help Satan against your brother. We can learn a lot from this attitude of the Prophet. We should reflect first upon the close and affectionate relationship this companion enjoyed with the Prophet (peace be upon him). Though the Prophet (peace be upon him) was who he was, it did not prevent him from relating to Abdullah in a familiar manner, of being his friend, and joking with him. This shows us that in the society of the Prophet (peace be upon him) people were not segregated into the pious and the sinners, with social interactions debarred between the two groups. Rather, it was a unified, inclusive society, where each person could be at a different level of piety. Some were at the forefront of righteousness, some were moderately pious, while others were prone to fall into sin. However, no one lived aloof from society, nor was anyone shunned. Everyone remained part of society. This inclusiveness meant that when some members of society fell into error, the effects of their mistakes were limited. No one was marginalized, so there was no chance sinfulness to grow on society’s “fringes”. When anyone made a mistake, there was no end of brotherly support from others in society who were more than willing to lend a helping hand and get that person back on track. Another lesson the Prophet’s conduct shows us is the importance of maintaining a positive outlook. In spite of the fact that Abdullah the alcoholic was frequently being summoned before the Prophet (peace be upon him), the Prophet drew everyone’s attention to one of Abdullah’s positive qualities – that he loved Allah and His Messenger. Yet, when we think about this particular quality, we find that it was not something unique for Abdullah, but a quality that all believers have in common. Nevertheless, the Prophet (peace be upon him) chose to praise Abdullah for this reason. In doing so, the Prophet could cultivate, encourage, and strengthen this quality in everyone. He also reminded them that if someone slips up, that person’s faith and love of Allah is still intact. We can imagine how Abdullah must have felt when he learned that the Prophet (peace be upon him) said this about him. He must certainly felt it as an immense honor to have the Prophet declare this about him. It served to help him overcome his bad habit and gave him hope, by confirming that his essential being was not permanently marred by the mistakes. It was the Prophet’s way to point out the good qualities of those who sinned and fell into error. We sometimes forget, and treat past sins as impenetrable barriers to future good. A person who commits a shameful deed, people often remember him only for that sin. We need to realize that this helps Satan to avail upon the sinner and get that person to sin again. The Prophet’s approach inspires virtue. When reminded of Abdullah’s frequent drunkenness, the Prophet boasted him possessing the greatest virtue of loving Allah and His Messenger. Finally, Abdullah had done something that was clearly wrong. There can be no doubt that Abdullah committed a sin. Imbibing intoxicants is a major sin, and the Prophet (peace be upon him) had often cursed wine. 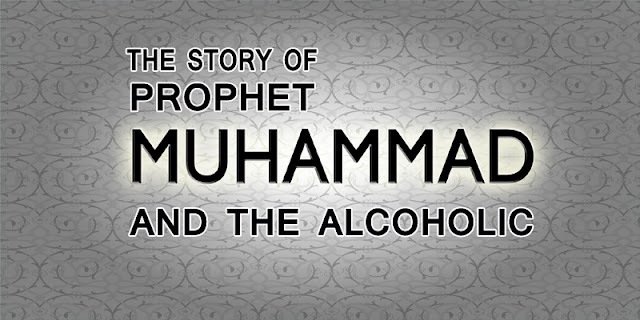 Nevertheless, after the Prophet had the prescribed sentence upon Abdullah for his public drunkenness, he did not seek anything further against him. He saw any further reprimand to be helping Satan against the man. Rather, he turned everyone’s attention to his merits that compensate for his shortcomings. This should give us pause, when we consider how harshly we sometimes behave in our disagreements with others whose transgressions are far less serious or certain. Sometimes, it is merely our opinion that someone has done something wrong and the matter is really open to other points of view, but we still have no hesitations about railing against our opponents with everything in our verbal arsenal. How far this is from the example of the Prophet with a person committing an obvious sin, yet still found it better to speak good about that person. He still kept up his good relationship with that person, despite his shortcomings. The conduct of the Prophet with Abdullah is an excellent example for us. It’s full of valuable lessons regarding not only how we should treat one another, but how society can foster social bonds that are strong, wholesome, and nurturing, bonds which can serve to dissuade people from falling into sin.